We attended the IEEMA Eastern Region Committee Meeting held on 27.07.12 at The Calcutta Swimming Club and our CEO, Mr. Harish Kumar Agarwal delivered a presentation on Proposed Smart City Pilot Project in Puduchhery. 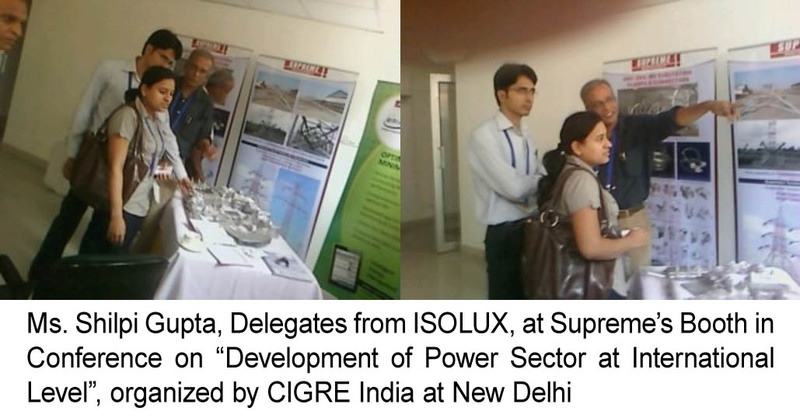 Conference on “Development of Power Sector at international Level” organized by CIGRE India on 19-20 July 2012 at New Delhi. Supreme was the Platinum Sponsor of this program and we also displayed our range of products and services. 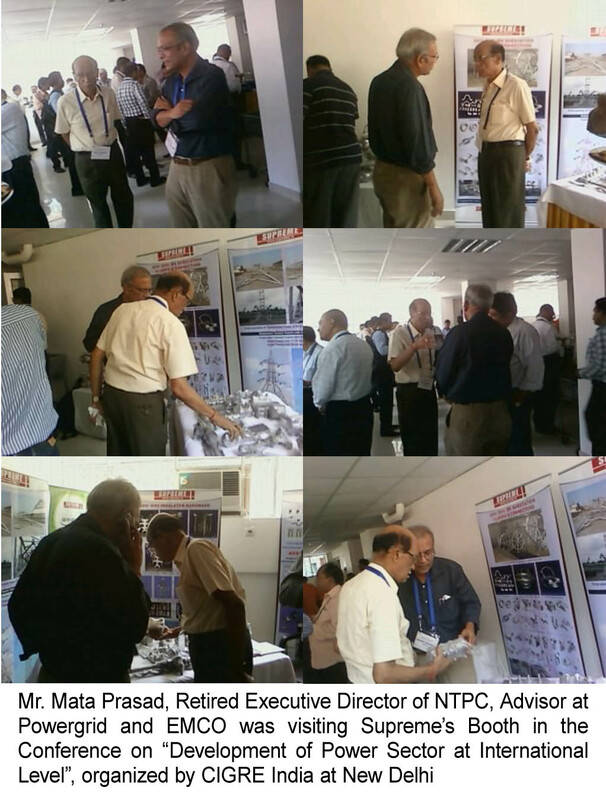 We received good response from participants and delegates. Central Board of Irrigation & Power, New Delhi is holding a conference on 19-20 July 2012 on development of Power Sector at International level topics include – HV equipment, OHL, Insulated Cables, Sub-Station, Electricity Markets & Regulation, Protection & Automation, HVDC & Power Electronics, Distribution System & Dispersed Generation etc. 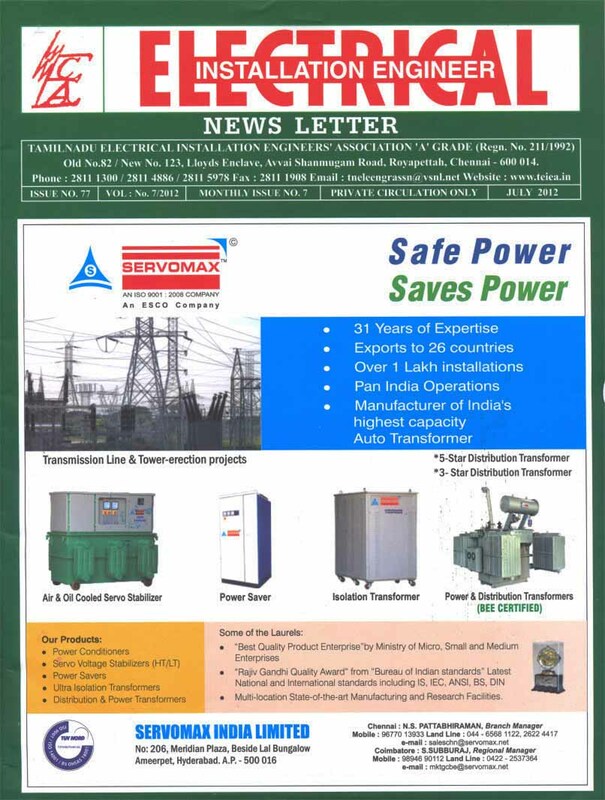 Key speakers are Sri R. N. Nayak – CMD, Power Grid; Sri N.N. 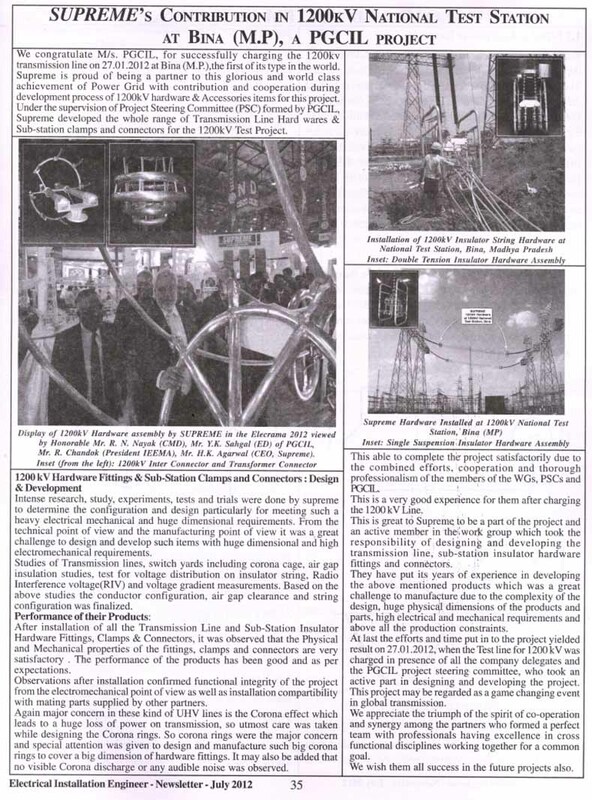 Mishra – Director, NTPC Ltd; Sri M. G. Dube – Director, BHEL; Sri Ravinder – Member (PS) CEA & Ex-officio Addl. Secy. To GOI; Sri Alok Gupta – Member (Hydro) CEA & Ex-officio Addl. Secy. 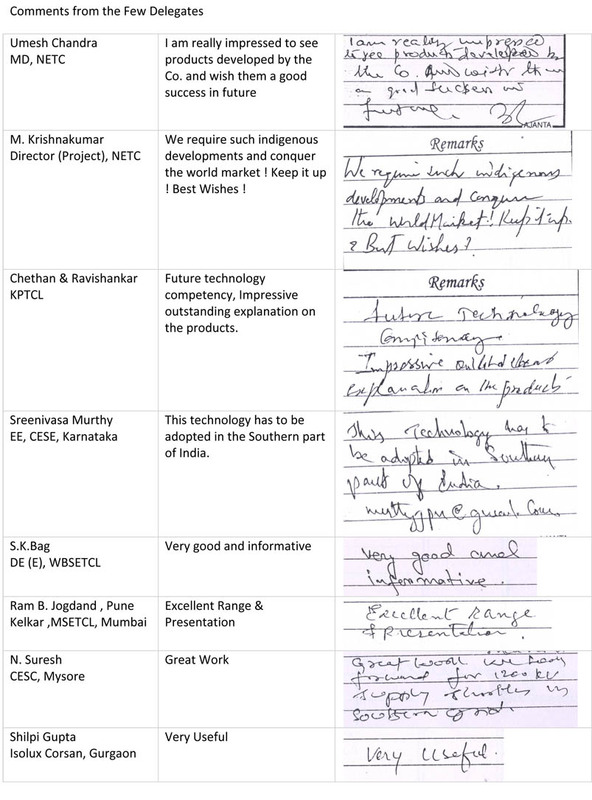 to GOI, Sri S. K. Soonee – CEO Posoco; Sri A. K. Gupta – GM, NTPC Ltd and Member of CIGRE SC on Rotating Machine; Sri M. Vijayakumaran – Sr. Tech. 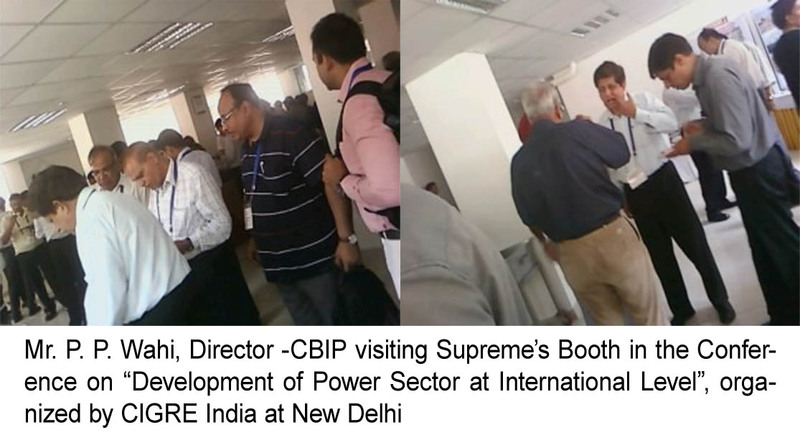 Expert, Area T&D and Member of Cigre SC on Transformers; Sri Deepal Shah – Country Manager, Brugg Kable and Member of Cigre SC on HV Insulated Cables; Sri Rajesh Kumar – GM, Power Grid and Member of Cigre SC on Overhead Lines; Sri S. Victor – AGM, Power Grid and Member of Cigre SC on Substation; Sri R. P. Sasmal – ED, Power Grid and Member of Cigre SC on HVDC link and Power Electronic Equipment; Sri S. G. Patki – Sr. VP, TATA Power and Member of Cigre SC on Power System and Local Control; Sri Y. K. Sehgal – ED, Power Grid and Member of Cigre SC on Power System Planning and Development; Sri V. K. Agarwal – GM, POSOCO and Member of Cigre SC on Power System Operation and Control; Sri M. Krishankumar – ED, Power Grid system and Member of Cigre SC on Environmental Performance; Sri S.V.N. Jithin Sundar – GM, BHEL and Member of Cigre SC on Material for Electro Technology and Sri N. S. Sodha – GM, Power Grid and Member of Cigre SC on Information Systems & Telecommunications. Supreme is the platinum sponsor of the event and with be displaying the range of products and services. You are currently browsing the The Complete Power Package blog archives for July, 2012.